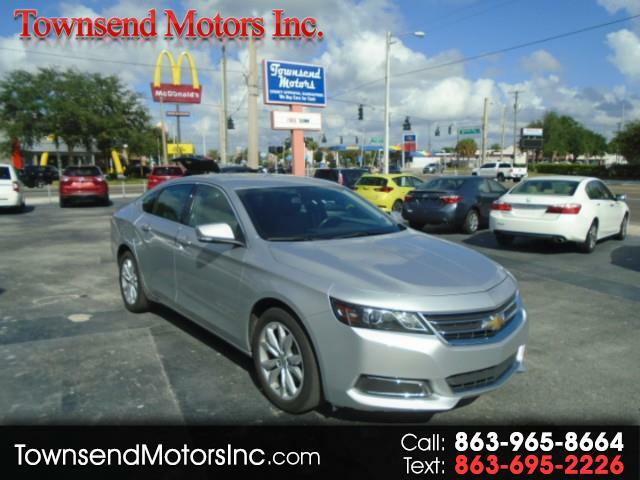 Our great looking 2017 Chevrolet Impala LT Sedan is raising the bar yet again in Silver Ice Metallic while helping you own the streets. Powered by a proven 2.5 Liter EcoTec 4 Cylinder that offers 195hp plus features stop/start technology while paired with a 6 Speed Automatic transmission for smooth shifts. Our Front Wheel Drive Sedan rewards you with aggressive performance and incredible efficiency of near 30mpg on the highway. Our Impala LT boasts an athletic stance that you can't help but notice. Inside you'll discover enough space to seat five adults so you and your passengers can ride in comfort. Appreciate cloth and leatherette seating, dual-zone automatic climate control, a leather-wrapped steering wheel, an eight-way power adjustable driver seat and a trip computer. Stay effortlessly connected thanks in part to the MyLink Infotainment system, prominent touchscreen, voice controls, OnStar with available WiFi, Bluetooth, and a great sound system with available satellite radio, an SD card slot, HD radio, Apple CarPlay, and Android Auto smartphone integration.